Schneur Zalman of Liadi (1745-1812) was born in the shtetl of Liozna in what is now Belarus. A child prodigy, he wrote his first commentary on the Torah when he was eight years old. Shortly after, he was sent to the nearby town of Lubavitch to begin advanced Talmudic studies, and was sent back home at the age of 12 as he had surpassed the knowledge of his teachers. He married at 15, and around the same time was first exposed to Kabbalah by two Bohemian refugees that settled in Liozna. They also taught him math, astronomy, and philosophy. A few years later, Rav Schneur Zalman met the Hasidic master Dov Ber, “the Maggid [Preacher] of Mezeritch”, who was himself the disciple of the Baal Shem Tov, founder of the Hasidic movement. 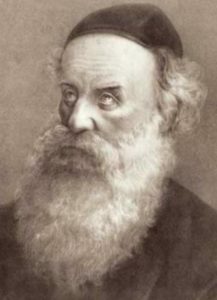 Rav Schneur Zalman became the Maggid’s devoted student, and when the latter died in 1772, was recognized as his successor. Unfortunately, there was still great opposition to the Hasidic movement at the time, most notably from the Vilna Gaon, who attempted to ban the Hasidim. Rav Schneur travelled to Vilnius in an effort to assuage the Gaon, but was refused a meeting. Despite the opposition, Hasidism flourished across Eastern Europe, and many Hasidic masters were emerging in towns large and small. Rav Schneur Zalman’s approach was unique in that he placed rationalism and thought above all else, and held by the mantras of “mind over matter” and “intelligent, not blind faith”. He therefore called his branch of Hasidism “Chabad”, based on the acronym for the Kabbalistic sefirot of Chokhmah, Binah, and Da’at, loosely translated as Wisdom, Understanding, and Knowledge. Rav Schneur Zalman would become known as the Alter Rebbe, the “Elder Rabbi”, the founder of Chabad. His magnum opus, known as the Tanya, is sometimes considered the “Bible of Hasidism”. The Alter Rebbe also put together a new Hasidic code of law, a prayer book, and multiple discourses on Hasidic teachings. During the Napoleonic Wars, he sided with the Czar, despite the fact that the Russians oppressed the Jews while Napoleon brought emancipation to them. He believed that while the Russians threatened the Jewish body, Napoleon threatened the Jewish soul, as his “emancipation” would lead to mass assimilation of Jews in Europe. History would prove him right. In 1812, the Alter Rebbe fled Napoleon’s approaching armies, and succumbed to an illness on the difficult journey. His disciples split among two potential successors: some supported Aharon Horowitz, based in the town of Strashelye, while others supported Rav Schneur Zalman’s son, Dov Ber, based in Lubavitch. Over time, the Strashelye branch dissipated, leaving the Lubavitch stream. This is one reason why the movement is still known as Chabad-Lubavitch. The organization has become the most successful Jewish outreach group in history, mainly due to the work of the seventh and last Lubavitcher Rebbe, Menachem Mendel Schneerson. Today, there is a Chabad House on every continent (except Antarctica, for now), with over 1300 Chabad-run institutions around the world. Yesterday, the 18th of Elul, was the Alter Rebbe’s birthday. A little bit of light dispels a lot of darkness. In a letter to his grandson, dated 24 Tevet 5583 (December 1812, shortly before his passing), the Alter Rebbe wrote: “I no longer see a table, a chair, a lamp… only the letters of the Divine Utterances.” As we read in the Torah, God “spoke” the world into existence, and all material things are only a reflection of their spiritual inner essence, composed of a combination of Hebrew letters, the building blocks of Creation. 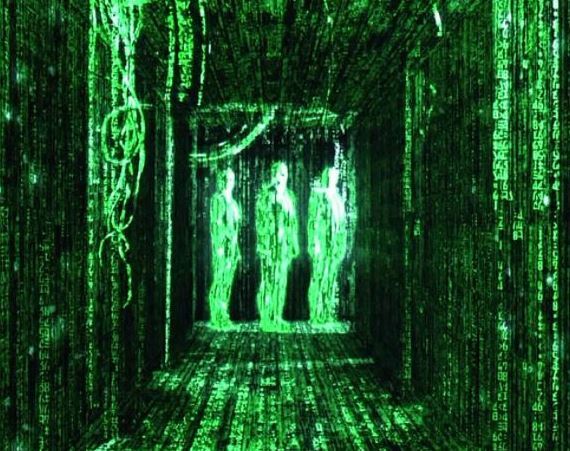 Like other great Kabbalists before and after him, the Alter Rebbe saw through the illusory material world, and beheld the spiritual “code” within, reminiscent of this famous scene from ‘The Matrix’. This entry was posted in Religious Leaders and tagged Alter Rebbe, Baal Shem Tov, Belarussian Jews, Chabad, Chabad House, Chai Elul, Dov Ber of Mezeritch, Hasidic Jews, Hasidism, Kabbalah, Liadi, Liozna, Lubavitch, Lubavitcher Rebbe, Napoleonic Wars, Orthodox Jews, Shulchan Arukh HaRav, Strashelye, Tanya on August 30, 2018 by Jew of the Week. Ephraim Ahmed Zayat (b. 1962) was born in Cairo to a wealthy Orthodox Jewish-Egyptian family. His father was Egyptian President Anwar Sadat’s personal doctor. Zayat studied in the US at Yeshiva University, and then at Boston University, where he got his Master’s in business and health. He then spent some time as a real estate investor in New York (working for past Jew of the Week Zev Wolfson), before returning to Egypt to run Al-Ahram Beverages. 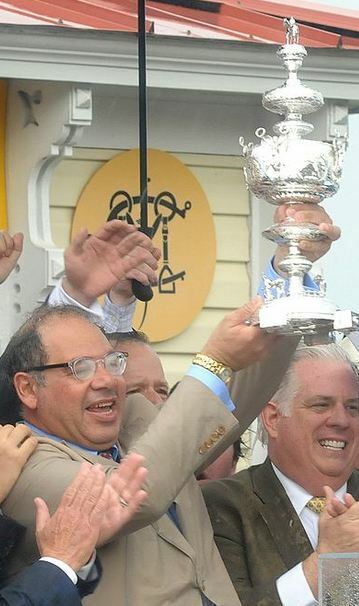 Zayat turned the company into a huge success, particularly through its popular alcohol-free halal beer catered to the Muslim world. He sold Al-Ahram to Heineken in 2002 for triple the original price, making it the largest buyout in Egypt’s history. Zayat then turned his attention to horse racing. He first learned to ride horses as a child growing up in Egypt, and had competed in various show jumping tournaments, winning a couple of national titles. Zayat soon started his new company, Zayat Stables, to breed his own race horses. His horses have gone on to win two dozen prestigious competitions. At one point, he was America’s number one race horse owner. Most recently, his horse American Pharoah made history by winning the Triple Crown – one of just 12 horses to do so, and the first since 1978. Before the final race, Zayat had American Pharoah’s jockey Victor Espinoza visit the grave of the Lubavitcher Rebbe to pray for success. Zayat still has big investments all over the world, including being the main shareholder in Egypt’s largest glass container manufacturer. He is also a noted philanthropist, donating large sums to various important causes, including Jewish schools. This entry was posted in Business & Finance and tagged American Pharoah, Beer, Boston University, Cairo, Egypt, Egyptian Jews, Halal, Horse Racing, Lubavitcher Rebbe, New York, Orthodox Jews, Philanthropists, Sephardic Jews, Triple Crown, Yeshiva University on June 10, 2015 by Jew of the Week.